We have often talked about PLN (Personal Learning Networks) in the blog but I thought I might share a specific site that you may want to add to your PLN. It is the Teachers Engage site from Intel. This is a community of educators K-12 and the focus is transforming learning with the integration of technology. It is free to register and provides many helpful ideas and tools to use in the classroom. There are discussion boards, webinars, unit plans, and various communities you can join to meet your particular interests and needs. The resources that are provided are excellent and there are so many of them. If you are interested in the Teachers Engage or just want to check out a webinar, come and join them tonight and see if maybe Teachers Engage is a site you might want to add to your PLN. Terri Brines is an eIS and Cognitive CoachingSM Trainer for the eMINTS National Center. Yesterday Edutopia featured an article in their “Schools That Work” Section about the eMINTS implementation in Hartville, Missouri. Tonya Wilson’s and her 6th grade students were the stars. The article and video both give a glimpse of Tonya’s classroom and how eMINTS has transformed not only her teaching but her own learning as well. In the video Monica Beglau, Executive Director, and Doug Caldwell, eMINTS Instructional Specialist, share what makes eMINTS successful in both improving teacher effectiveness and raising student achievement. The keys to the success of the program lie in its continued professional development spread throughout the year being relevant to the teaching, connected to the learning, and supported by face-to-face coaching. 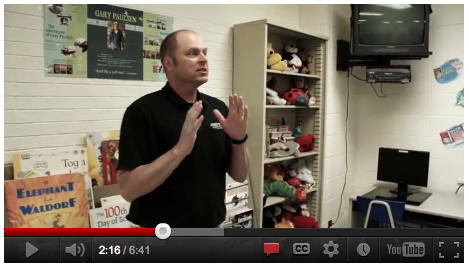 Doug Caldwell, the eIS featured in this profile video provides that support and more. The Instructional Specialist at eMINTS take on several roles in the eMINTS organization. Doug lives in Lynchburg, Missouri, (pop. 75). He has been with eMINTS for 12 years and has trained countless teachers. While working at the eMINTS National Center he wears many hats. Not only does he facilitate eMINTS Comprehensive Professional Development sessions he also visits teachers in their classrooms to help them implement what they are learning through coaching, consulting, and collaborating. Doug is a Senior Trainer for the Intel program, presents at local, state, and national conferences, supports district technology staff as part of the eMINTS4Techs program, provides custom PD including training for veteran eMINTS teachers, and serves on various committees. He does all this with his ever present easy going attitude and smile on his face. 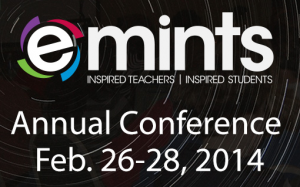 Tell us about your connection with eMINTS. What eMINTS program/s have you participated in? Who is/was your eMINTS Facilitator? What eMINTS accomplishments are you most proud of? And if you haven’t had the opportunity yet to become part of our eMINTS “family”, what might be the most appealing part to you? The eMINTS National Center is a non-for profit organization that has provided comprehensive research-based professional development services to educators since 1999.